Imagine a pill that restores the energy levels of your youth? Believe it or not, researchers are working on such a pill. It is no secret that our metabolisms decrease with age and our body weight increases. This metabolic slowdown is so common that anti-aging researchers have studied the phenomenon and pinpointed the causes. Geroscientists have even identified potential drugs that may stop these metabolic changes. One does not have to look far for evidence of the connection between metabolism and longevity. The best example is calorie restriction a metabolic intervention that extends the lifespan of most any animal, including mice and monkeys. Because calorie restriction is hard to do, researchers have decided to imitate its effects and package it in pill form. Called calorie-restriction mimetics, the new lifespan-enhancing drugs work to improve our health and add years to our lives by mimicking weight loss. 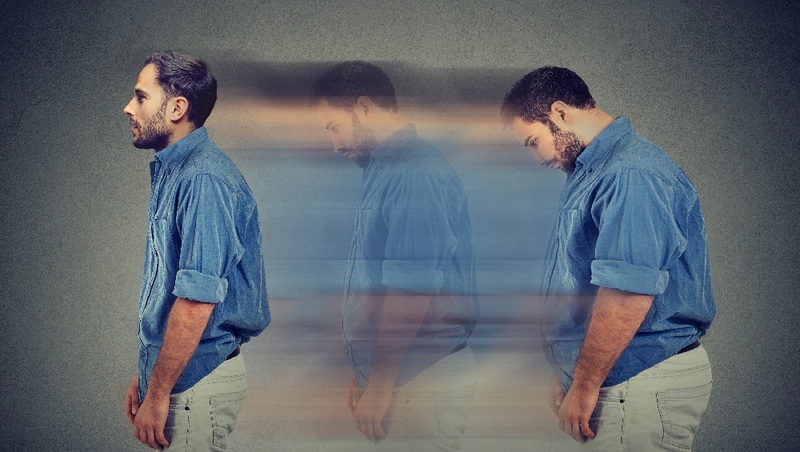 Anti-aging researchers have long been aware that metabolic changes play a significant role in age-related diseases, including cancer, cardiovascular disease, diabetes, and neurodegenerative diseases. While doctors consider type 2 diabetes a metabolic disease, they do not traditionally view the other two in the same light. Attitudes are changing in mainstream medicine, and at least in the case of heart disease, physicians are starting to recognize that metabolic changes drive cardiovascular conditions. Geroscientists put a high priority on studying the human metabolism because metabolic pathways play critical roles in longevity. For example, the insulin-IGF pathway, and the mammalian target of rapamycin (mTOR) are two metabolic pathways that play key roles in longevity. Because of its effects on the mTOR pathway, the drug rapamycin extends the lifespan of mice by about a fourth. Nutrient sensing is a cell’s ability to recognize and respond to fuels such as glucose. Our cells use different enzymes to process each type of fuel and will produce more or fewer enzymes, depending on the most available fuel. As our body slows down, we lose muscle, gain weight and experience a loss of energy. These metabolic changes do not just make us feel lethargic and expand our waistlines; they also accelerate aging. Collectively, current available evidence strongly supports the idea that anabolic signaling accelerates aging, and decreased nutrient signaling extends longevity. You would think that all metabolic changes are unhealthy, but some are healthy adaptive responses. Anti-aging researchers have been identifying which factors cause aging and disease susceptibility and which one do not. Sirtuins provide another example, of a metabolic pathway that plays a critical role in longevity. Sirtuins have dramatic effects on cellular metabolism and a key pathway in aging. Leading geroscientists, such as Leonard P. Guarente and David Sinclair view sirtuins as the silver bullet for turning back the clock and restoring an aging metabolism. Sirtuin-researchers were excited when they found that sirtuin activators such as resveratrol extended the lifespan of several species. Unfortunately, the streak of success ended when resveratrol did not extend the lifespan of healthy mice. Resveratrol only extends lifespan if the rodents are kept in a state of severe metabolic stress induced by a very high-fat diet. Because sirtuins work their magic through regulation of NAD+ levels (nicotinamide adenine dinucleotide), researcher David Sinclair decided to set aside the sirtuin route and work on increasing NAD levels instead. His results were spectacular, and NAD boosting drugs are currently in clinical trials. Even though Sinclair has changed his research focus away from resveratrol and onto NAD, other researchers are keeping the sirtuin faith and are continuing to developing lifespan-enhancing therapies based on analogs of resveratrol. Related article: Learn more about David Sinclair’s recent progress on NAD supplementation. Geroscientists have long considered our cell’s mitochondria the chief culprit in human disease and aging. 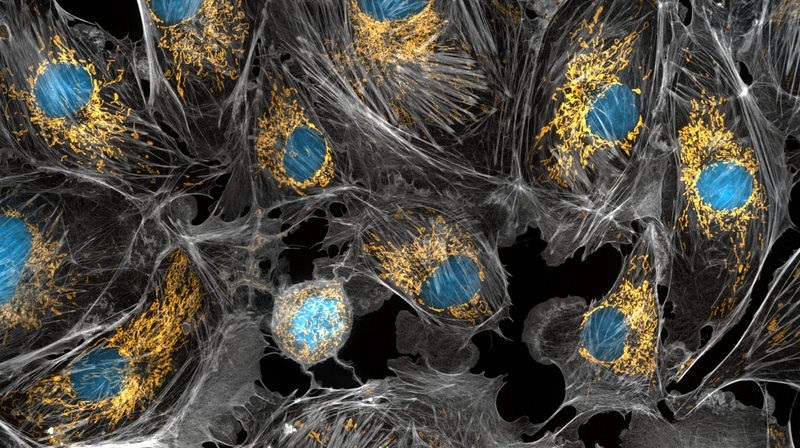 Anti-aging researchers have been long obsessed with the mighty mitochondria, not only because of the free radicals they generate but also because these tiny organelles are the central hub of energy metabolism. For a long time, scientists focused on the role of mitochondria as generators of toxic waste known as free radicals, also called reactive oxygen species (ROS). Mitochondria are blamed for a host of age-related ills, especially cellular stress, and macromolecular damage also thought to promote disease and aging. 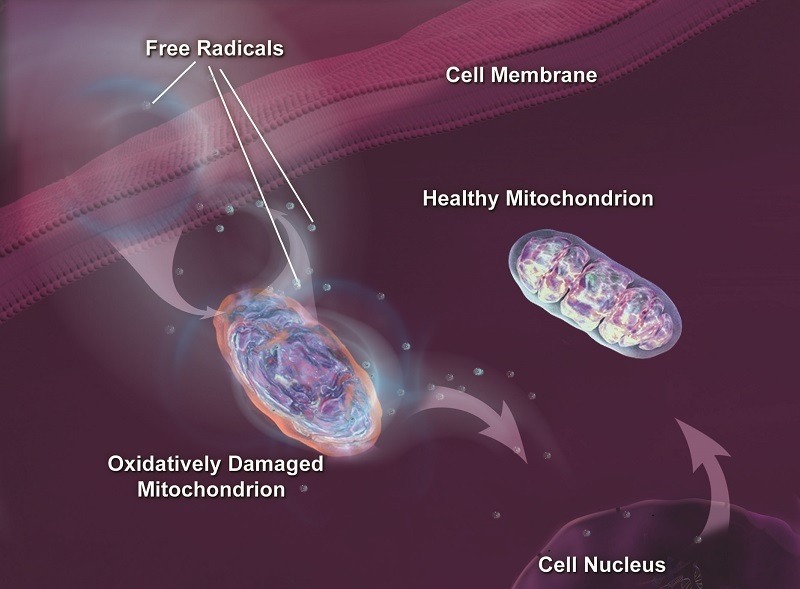 Mitochondria do not just generate damaging free radicals; they are also the main victims. Being bombarded by a steady stream of free radicals, combined with a delicate structure, makes these organelles particularly vulnerable to oxidative injury over time. Mitochondrial DNA is especially vulnerable to free radical damage, because it is not as well defended as the nuclear DNA in our chromosomes, which is protected by a protein coating. Uncoated and unprotected, mitochondrial DNA becomes an easy target for marauding reactive oxygen species. Geroscientists consider damage to mitochondrial DNA a pretty significant contributor to the process of aging. As well, mitochondrial dysfunction plays a role in cancer. Free radicals are extremely corrosive and damage many cellular components. The injury caused by ROS initiates a self-perpetuating cycle in which oxidative damage impairs mitochondrial function. Once a mitochondrion is damaged, it tends to produce higher amounts of ROS. Over time, the mitochondria become so inefficient that they are unable to generate sufficient energy to meet demand. This is why the mitochondria from older people tend to be less efficient than those from younger ones. As we age, our bodies absorb nutrients less efficiently, and this can degrade mitochondrial efficiency. The reason for this degradation in performance is that older mitochondria are the victims of a decline in three nutrients, in particular, Coenzyme Q10, Cardiolipin, and Carnitine. Our mitochondria require coenzyme Q10 for energy production. Moreover, for some reason, these levels decline in aging mitochondria. For example, if you were to peer into a very strong microscope into muscle cells and compare older mitochondria to younger ones, you would see that the elderly mitochondria contain much less coenzyme Q10 (CoQ10). Moreover, you could pat yourself on the back for having one of the strongest microscopes in the world, for mitochondria are exceedingly small. Also called or ubiquinone, CoQ10 comes from the diet. As well, the body can manufacture it from simple precursors if the need arises. The compound cardiolipin is found almost exclusively in mitochondria and is vital to energy production. Cardiolipin levels naturally decline with age, due to lipid peroxidation. The progressive accumulation of crippled cardiolipin molecules ratchets down energy production. Another problem with older mitochondria is that they tend to contain less of the amino acid carnitine. You can find carnitine in nearly all cells of the body. It derives its name from the Latin word carnus or flesh, as the compound was isolated from meat. It is easy to remember the name carnitine, as sounds similar to the latino dish, carnitas, a meat dish full of flavorful goodness. Carnitine is also essential to mitochondrial function and plays a critical role in energy production. The amino acid transports long-chain fatty acids into the mitochondria so they can be burned to produce energy. Carnitine also transports the toxic compounds that the mitochondria generate out of the organelle. Carnitine deficiency makes the mitochondria unable to harvest the energy stored in fatty acids, which in turn leads to a build-up of fatty intermediates that can be toxic. The most abundant source of carnitine is – you guessed it – tasty carnitas, although any beef dish will do. There is good news for those on calorie restriction or the Fasting Mimicking Diet; store-bought L-carnitine supplements can also boost carnitine levels. The downside is that these supplements are not as tasty as carnitas. Healthy and damaged mitochondria. Credit NIA / NIH. Many well-known vitamins are potent anti-oxidants and can clobber marauding free radicals. Before you rush out to the store to buy a bottle, be aware that if you are otherwise healthy, antioxidant vitamin supplements will not do the trick. Massive research studies on vitamin supplementation show that otherwise healthy people taking excessive doses of antioxidant vitamins do not reap the benefits of increased lifespan. In fact, as a recent report on deadly vitamins shows, excessive doses of vitamins can be hazardous to your health. While vitamin supplements have been shown to be worthless as antioxidants, researchers reported that they found two groups of fruit and vegetable superfoods that are both rich in antioxidants and shown to lengthen lifespan. Earlier this year researchers released a study of over two million people that linked a diet rich in fruits and vegetables with a reduced risk of heart attack, stroke, cancer and early death. The study found that the largest consumption of these superfoods produced the most significant health benefit, reducing the risk of dying by nearly a third. Amazingly, many of the ‘superfruits’ and ‘supervegetables’ can be found in the everyday grocery produce aisle, and at reasonable prices. In my book, any food that reduces stroke by 33%, total cardiovascular disease by 28% and the risk of death from any cause by 31% qualifies as a superfood. As a bonus the authors of the study provided a list of the fruits and vegetables that are healthier than others, thus generating a list of super superfoods to boot. While sirtuins and mitochondria get all the limelight, two new suspects accused of metabolism wrecking have entered into the rogue’s gallery, namely the microbiome and circadian rhythms. While the evidence is still sketchy, researchers have noticed that as we age, our circadian rhythms suffer and the composition of our microbiome changes. Scientists have linked both of these age-related changes to dramatic metabolic and proinflammatory effects. While the two latecomers look highly suspicious, the verdict is still out on whether these two factors play a significant role in age-related metabolic changes. One click helps us spread the word – Show some love and share this post on your social media account and share it with your friends. It only takes one click on any of the social media links on this page. Sign up for our email list – We use your email to notify you of new articles. We don’t spam, and we won’t share your email address. Cancel at any time. Tell us what you think – We love comments. Scroll down and leave your comments below. Carlos López-Otín, et al. The Hallmarks of Aging. (2013) Cell, Volume 153, Issue 6, 1194 – 1217. Available Online. This is in the database. Are we missing a verb here? Good catch. I fixed it.